The former New York City mayor said Friday that he believes "we can turn the tide on this epidemic"
Philanthropist and former mayor of New York City Michael R. Bloomberg announces Jackson, Miss., as the winner of the Bloomberg Philanthropies 2018 Public Art Challenge winner, Thursday, Nov. 29, 2018. Former New York Mayor Michael Bloomberg's charity has announced a $50 million donation to help fight the nation's opioid epidemic. 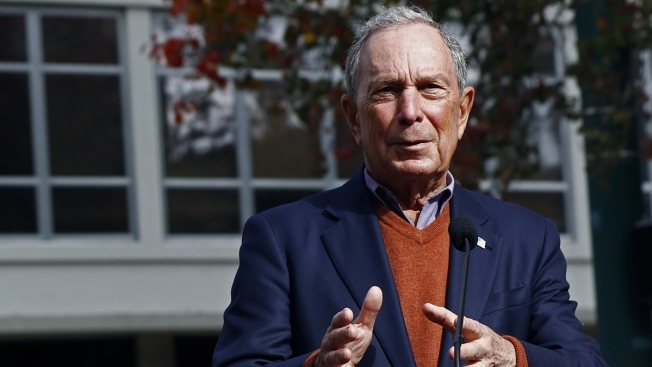 Bloomberg said on Friday during his keynote address at The Bloomberg American Health Summit in Washington that he believes "we can turn the tide on this epidemic." "For the first time since World War I, life expectancy in the U.S. has declined over the past three years — and opioids are a big reason why," he said. "We cannot sit by and allow this alarming trend to continue — not when so many Americans are being killed in what should be the prime of their lives."